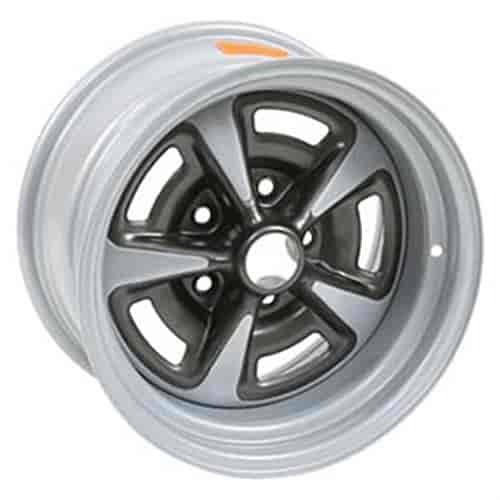 Wheel Vintiques 60-Series Pontiac Rallye II Wheel Size: 15" x 7"
60-573404 is rated 4.0 out of 5 by 2. Rated 3 out of 5 by Ponchi from Decent replacement except for color Wheels are decent, minor flaws to be expected, overall decent. Only complaint is the color is completely wrong. They absolutely need to be painted to be correct Pontiac wheels. Wheel Vintiques 60-573404K - Pontiac Wheel & Tire Package Rim Size: 15" x 7"
Wheel Vintiques 60-573404K1 - Pontiac Wheel & Tire Package Rim Size: 15" x 7"